#1: You know what to look for. While about 80% of what you find at thrift stores is not wearable there is a good 20% or more available for you to turn into one of a kind pieces. Instead of shopping for entire outfits, like you would at a department store, look for specific items to make your outfit standout. #2: Vintage is back. 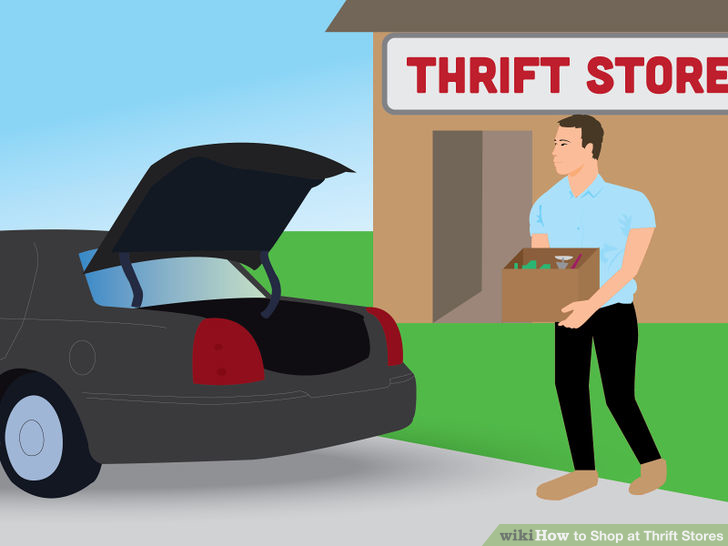 The people who donate to thrift stores are often elderly individuals who clean out their closets. They bring their treasures to thrift shops where people like you and I can find items at a fraction of the cost. Look for items like oversized sweaters and floral patterned blouses for a vintage look. #3: No one has to know where it came from. Just because you know where your clothing came from doesn’t mean everyone else has to know. Get it out of your head that if you don’t wear designer brands you don’t look good. Save your money and still look chic by shopping at thrift stores. #4: Because you shop for quality pieces. There is more than just stained and used clothing at thrift stores, you can also find cute accessories that look brand new to the unsuspecting eye. Half the battle with fashion is presenting it in a way that looks new even if it’s not. Keep your eyes peeled for clutches and jewelry to complete you look. #5: Saving money is chic. Saving money and making money is the way of the future, and if you can look stylish doing it more power to you. Don’t be afraid to step foot in a thrift store because it’s against every fashion code you’ve ever been taught. Break the barrier and discover all the treasures out there. #6: Sew your own pieces together. Take small items you purchase at a thrift store and turn them into masterpieces by creating your own outfit. Don’t get discouraged by items that don’t fit right. Cut them up and style them to your own taste. #7: Use YouTube For tips. Buy whatever item you want and then search YouTube for tips on how to make them great. Even if you aren’t a seamstress or fashion designer you can still turn slightly frumpy into totally chic with a few snips and tucks in certain spots. #8: Because there is no limit to variety. Thrift stores are full of different styles, sizes, and colors of clothing making it possible to come out looking like a fashionista. Rack after rack of clothing is bound to hold at least one style gem, and if you keep an open mind there is no limit on what you might find. #9: Thrift stores create unique style. Fashion is all about testing the limits on what is socially acceptable and shopping at thrift stores allows you to spend less money to look just as unique as high end shops. #10: No one else can have your look. The items you buy at thrift stores are unique to you and you only. Your look cannot be duplicated to an exact replica. So be proud of shopping at thrift stores and consider yourself one of the few 100% chic individuals with thrift store skills.